AMACO VELVET UNDERGLAZES offer two finish possibilities. When left unglazed, they have the appearance of soft velour or velvet. 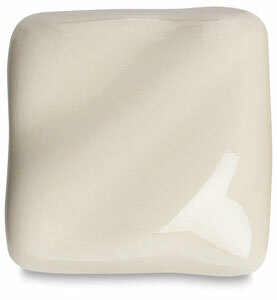 Under a matte glaze (like Duncan SN351) they assume a soft, satiny finish. The colors intensify under a gloss glaze (like Duncan IN1001). 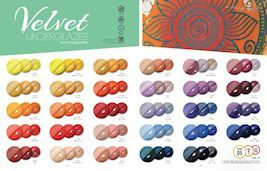 All the Velvets are very rich colors and can be used for all-over coverage similar to opaque underglazes. They fire true to color as applied from the jar and can be intermixed to product hundreds of colors. Check out what Velvets will do at different temperatures! Click on the photo at left to see the PDF showing all of the glazes and how they react at cone 05, cone 5 and cone 10.